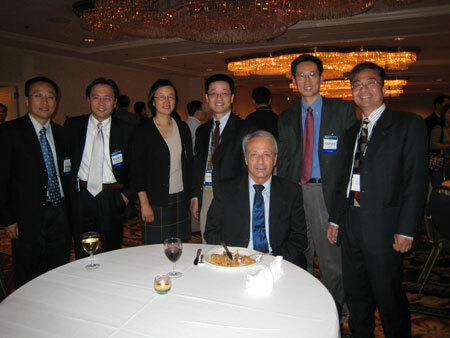 Founded by Chinese American Hematologists and Oncologists in 2005, CAHON is dedicated to fostering communications among Chinese American medical professionals for the delivery of high-quality health care to patients with neoplastic and hematological diseases, and to promoting the exchange of medical information between the United States and China in the fields of hematology and oncology. CAHON strives to serve as a bridge of medical and educational exchange for its members and between Chinese and American Hematology-Oncology. Founded by Chinese American Hematologists and Oncologists in 2005, the primary missions of CAHON are to foster communications amongst Chinese American medical professionals for the delivery of high-quality health care to patients with neoplastic and hematological diseases, and to promote medical information exchange between the United States and China in the field of hematology and oncology. CAHON strives to serve as a bridge among its members and between Chinese and American Hematology-Oncology communities for medical and educational exchange.